There is a lot going on in the old hometown as we gear up for our festival season. If you have a hankering (do I need to define that too?) to visit, the next few weeks are crammed full of wonderful events. First up: the Community Fair. I suppose this comes closest to our old Fall Festival since it features the carnival and parade. This year the Community Fair is a week long! It begins with the Baby Show on Sunday, Aug. 23 and ends with the Kiss The Pig contest winner/loser and the Parade at 11 a.m. on Saturday, Aug. 29. There are nine (9!) Class Reunions that weekend, so there will be much entertainment and many people in town to visit. The week, in addition to the carnival and the parade, features fried chicken dinners, salad luncheons, soap box derby, beer wagon, ice cream social, lots of food booths and entertainment, the first LHS football game of the year (Trenton), horseshoe contest, Bingo, children’s barnyard, frog and turtle races, Elvis performing, an architectural treasure hunt, ping pong ball drop, fiddler contest, and living history event at the Anderson House. I haven’t listed everything, but you can see it’s an old-fashioned throw-back week in our small town. On September 11 we will participate in the annual Freedom Walk to commemorate the dreadful events of 2001. Citizens and school children walk from 13th and Main to 10th and Main, stopping at the Veterans Memorial for a brief service. Two weeks after that is the Old Homes Tour. This year the Tour will take place in the heart of the Old Neighborhoods Historic District, and the homes are close enough together to walk the Tour. There will be transportation, of course, for those who choose not to walk. 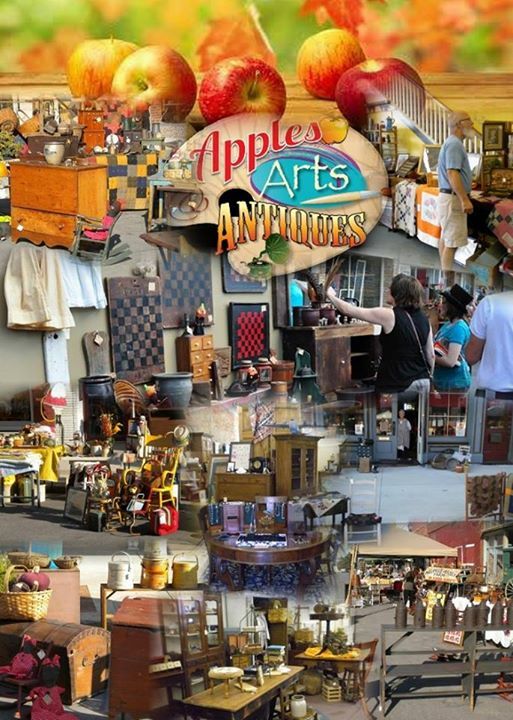 AND, as if that were not enough, our popular Apples, Arts & Antiques Fair comes along two weeks after that! Meanwhile, the local Woman’s Club (General Federation of Woman’s Clubs) is celebrating its 100th birthday! That will be Aug. 22. AND the DAR (Daughters of the American Revolution) is hosting a District meeting Sept. 18. Many visitors will come to Lexington for these events. The above are special, but routine events will be going on in between times. Who says there is nothing to do in a small town, and I didn’t even mention music downtown and special sales by our merchants. Y’all come! As for the news, well, as always there are deaths to report. Duane Schlueter wrote: Susan, when I received this last month I was going to let you know about Joe Stanton, a very good friend of mine who passed away June 6th and his funeral was June 11th in Independence, Mo. Thinking others in Lexington would most likely let you know I didn’t write. Gordon White ’58 submitted: I want to pass along the information that David Bost died on July 22, 2015. He lived in Gravois Mills, MO. Judy Morgan, age 71 of Higginsville, Missouri died on Monday, July 20, 2015, at Lafayette Regional Health Center in Lexington, Missouri. Born Monday, March 27, 1944 in Columbia, Missouri, she was the daughter of the late Robert Douglas Waterman and the late Violet Dennis Waterman. She married Bruce Morgan on February 15, 1964. Judy attended Lexington High School and was a graduate of the class of 1962. She was the office manager for Higginsville Printing and Stationary retiring in 2000. Surviving are her husband Bruce Morgan of the home; two daughters, Marnie (Danny) Morgan-Oetting of Higginsville, MO and Hali Morgan of Chicago, Illinois; one brother, Gary (Sam) Waterman of Lexington, Missouri; two grandchildren, Riley and Carson Oetting. She was preceded in death by her parents and one sister, Sandy Goodloe. Gordon continued: In as much as I am a "Johnny come lately" to your newsletter, I need to ask whether you are restricting news to certain years in Lexington history or not. I would like to continue to inform you of news as I learn it. However, I wish to do it within your guidelines and not mine. The Lexington Connection is not restricted to anything, Gordon, except a dollop of propriety! The only qualification is that submissions be of interest to someone with a connection to Lexington. Webmaster Bob Ball says we have many readers in other countries (??? ), so even that is not a requirement. Gordon also mentioned seeing Terry Buck ’56 in Carbondale, Illinois. Terry is back on the TLC list now. Which reminds me: if you do change your email address, and if you do want to receive TLC, please send the new one to me. Visit www.thelexingtonconnection.com for archived issues of TLC. See www.visitlexingtonMO.com for further details of upcoming events. Allan Lee chimed in for the first time with some very exciting plans: I am a 1977 graduate of Lexington High School. While recently reading the November 2014 addition of your newsletter I noticed one of your readers asking a question concerning a possible reunion of the 1947 undefeated football team. It was actually the 1946 football team whose players graduated in 1947. I am writing you so that perhaps you can inform your readers that efforts are indeed underway to hold a reunion of all of Lexington's undefeated and or State Championship teams. This reunion would include the 1946, 1954, 1960, 1976, 1979, 1980, 1984, 1988, and 1995 teams. The event, billed as "The Return of the Champions, " will be held in September 2016. We are just in the inaugural stages of the planning and anyone who would like to help with the planning or would like more information can contact me at 816-916-4416 or by email at Alee1959@sbcglobal.net I would greatly appreciate your mentioning this in your newsletter to enable us to reach as many people as possible. What a great idea! Keep us all posted, Allan, and I’ll send out updates. Please follow these leads, Folks. Send me news, big or small. You’d be surprised at how hungry those poor displaced people who live elsewhere are for news from Lexington. Ending on that very awkward sentence, I send my very best wishes to you all.